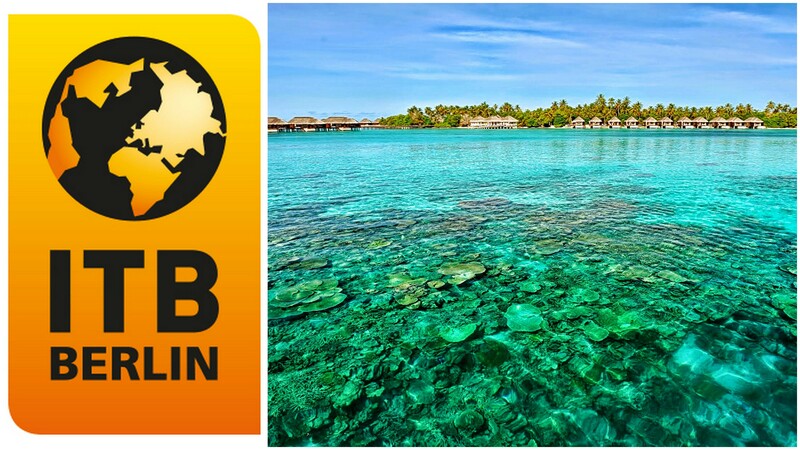 ITB Berlin (Internationale Tourismus-Börse Berlin) 2016, will be Maldives focussed as the show’s partner country in the Indian Ocean. David Rutz Head of ITB Berlin announced at the DRV (Deutscher ReiseVerband) conference in Abu Dhabi that an agreement will be signed between the Worlds leading Travel Trade Show and the Maldives at a ceremony in the next ITB Berlin, March 2015. “The Maldives has exhibited at ITB Berlin since 1984. We are delighted that it wants to expand its presence at the show and that as the Official Partner Country it will be the focus of the international travel industry. As the partner country of ITB Berlin 2016 this island nation in the Indian Ocean sends out an important message as an emergent tourist destination,” commented David Ruetz, Head of ITB Berlin from Messe Berlin. “Nature is our most important resource and tourism our biggest industry.“ “The tourism market will continue to grow and we will make sure this is achieved in harmony with nature” added the Minister. Maldives will be organising the opening ceremony of ITB Berlin 2016 to be held at the City Cube Berlin, Messe Berlin’s new trade fair and conference venue on 8th March 2016. The maldives will fascinate the visitors with colorful programme of events from the 9th to 13 of March 2016. “Tourism plays a crucial role in the development of Maldives. We are honoured to have the opportunity of becoming the Official Partner Country of the World’s Leading Travel Trade Show in the important year of ITB Berlin’s 50th anniversary. I would like to thank ITB Berlin for this important opportunity that will immensely help raise the profile of the destination Maldives on a global level. This partnership will in particular be instrumental in reviving the core markets of Europe at large including Germany.” The Minister further added that “the introduction of the newly launched Thumburi integrated resort project in Maldives will diversify the product segment and open up over 2000 beds for the mid-market segment. We hope this will be an added opportunity to increase arrivals from the European market.” The minister said highlighting the importance of being the host country of ITB Berlin. Since the introduction of tourism in 1972 Maldives has become one of the worlds most successful holiday destinations. It now welcomes over a million tourists a year and is fast becoming an eco-tourism nation. It is most famous for its natural beauty and for its rich underwater attractions. It has become a dream destination for divers and surfers and a must go honeymoon destination with a year round tropical climate due to being located on the equator.